What if Trading Cards Could Change the World? How can we take the message of Kids4Peace and bring it to a larger audience? How can games and competition be used to build empathy? Can trading cards really change the world? 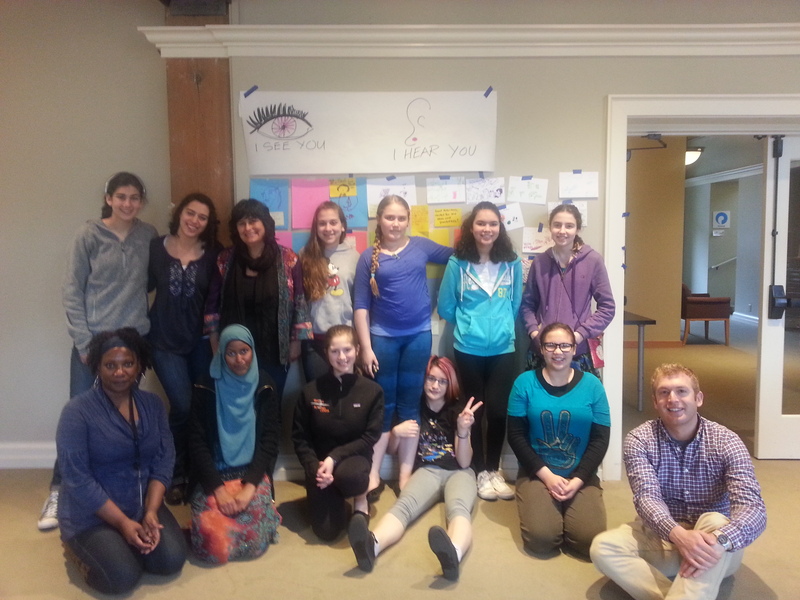 On March 22, the youth of Kids4Peace Seattle thought about all of these questions and more. For our monthly meeting, we partnered with Victoria Moreland, a graduate student in the Organization Systems Renewal Program at Pinchot University, who led us in a design thinking exercise to develop a set of trading cards (like baseball cards, or Magic: The Gathering) that would capture some of the work we do in Kids4Peace. Over the course of the afternoon, we reflected on the definition of empathy, and then spent time brainstorming different ways that messages of empathy and compassion could be transmitted through the use of trading cards. A set of cards, each of which has a compassionate action that an individual can take (e.g. “Sit next to someone at lunch who is sitting by himself/herself.”) Once you have completed the action, you would pass on the card to someone else and encourage him or her to take the same action. A set of cards, each of which has an image of a person who is feeling a certain emotion (e.g. Hannah the Happy, Aaron the Angry, Samir the Sad), together with words that help to describe that emotion. In a group, each individual would pick a card that describes an emotion they are currently feeling, and then would describe why they are feeling that way. The rest of the group can then provide an empathic response. A game similar to Apples to Apples, where each player is dealt a set of “Feelings” cards. Then, one player draws an “Expressions” card that shows a face expressing a certain emotion. Each player puts down the Feelings card they think most closely matches the facial expression. The player who drew the Expressions card judges which feeling best matches the face. A Choose Your Own Adventure-style of game, in which participants are presented with a scenario and then face a series of choices of actions based on that scenario. Some options are more empathic than others, and those options earn more points for the player. It was amazing what we were able to produce in just one afternoon. Our youth were excited to keep working on their games and sharing them with others, so keep an eye out for them at a Kids4Peace camp this summer! Special thanks to Victoria Moreland for leading us in this exercise.